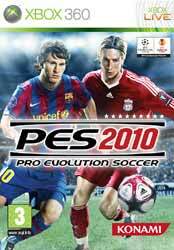 Another year and another PES game enters the market. Year after year the franchise keeps getting better as the developers appear to listen to the issues the fans have with previous versions of the game. More than ever PES 2009 feels more like a proper football match. The graphics look much more impressive; the controls are more refined; and the match commentaries are spot on. Over several days of constant playing not once did we hear the commentators describe something incorrectly - although, understandably, a lot of the comments are repeated (but not during the same game). The online play is also worthy of note. Those who can easily beat the computer AI will cherish going online and playing against real players. You can also better control the goalkeeper - something that's always been an issue with football games. For example, you can force him to come out towards the ball instead of waiting for the opposition to shoot at the goal. It's the little touches too - the elements that you don't notice at first - that help to add much to the game play. For example, playing a match at home the crowd will roar as you approach the away team's goal, but play away and the crowd is much quieter as you prepare to put one in the back of the net. Another solid addition to the PES franchise - and certainly one that's worth taking a closer look at.